Rural and Regional Development Minister Rina Harun has appointed two Bersatu supreme council members and a lawyer to head entities under her ministry. 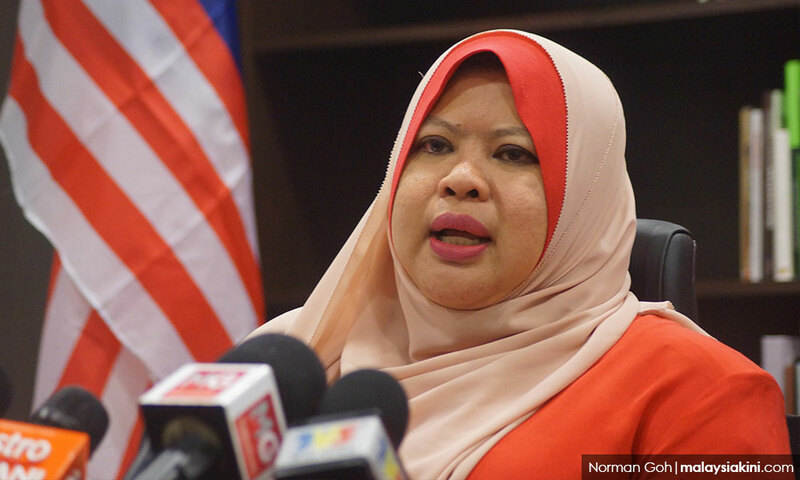 In a statement today, the ministry said Rina, the Bersatu Wanita chief, had proposed the appointments to Prime Minister Dr Mahathir Mohamad, who gave his consent. Bersatu supreme council member Sukiman Sarmani was appointed as the Universiti Teknikal Mara (Unitek-Mara) chairperson, while fellow council member Akhramsyah Muammar Ubaidah Sanusi was picked to chair Mara Corporation Sdn Bhd. According to the statement, Sukiman has experience in research and development, such as at Offshore Oil Production EPMI, Terengganu and Water Quality Development with the Environment Department. Akhramsyah, meanwhile, graduated with a degree in chemical engineering from Imperial College London. "He had served for 16 years as engineering, consultant and manager at a top international petroleum company," the statement added. Meanwhile, Haniff Khatri Abdulla, who has served as Mahathir's lawyer, was appointed as the chairperson of the Penang Regional Development Authority. Haniff Khatri graduated with an LLB (Hons) from the London School of Economics and has been a lawyer for 19 years.